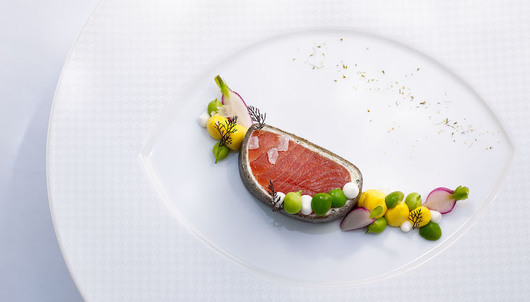 The French Laundry is Thomas Keller's world-renowned three-star Michelin restaurant located in Yountville, California. For 25 years, the restaurant has been committed to serving a daily ten-course tasting menu inspired by the finest quality ingredients from its garden across the street and classic French techniques. Don't miss this once-in-a-lifetime opportunity for you and a guest to indulge in an unforgettable evening on your guaranteed reservation date of Saturday, May 25, 2019. For more information on The French Laundry, visit www.frenchlaundry.com. 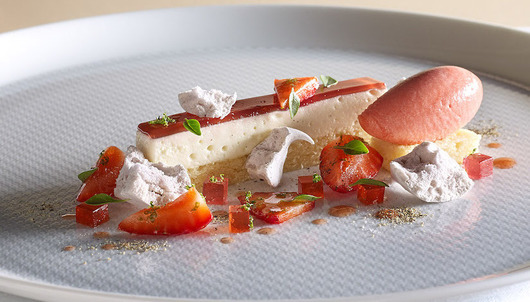 The French Laundry Silver Gift Experience Card will be at the attending guests' table upon their arrival on their reservation date and must be redeemed on Saturday, May 25, 2019. 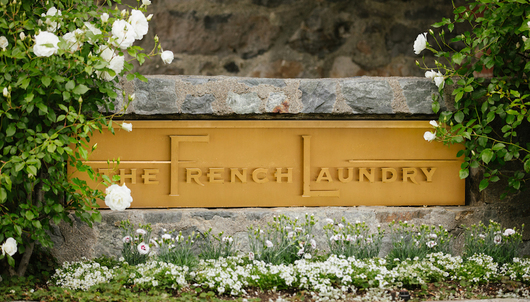 The autographed copy of The French Laundry will be provided to guests upon departure from the restaurant the evening of Saturday, May 25, 2019. The kitchen tour will take place at the end of dinner and the exact restaurant personnel providing the tour is at the discretion of The French Laundry and will not be given by Chef Thomas Keller. This package does not allow transfer of reservation dates and is good for Saturday, May 25, 2019 at 8:00pm PT only. Attending guests will be asked to provide any dietary needs or restrictions prior to their dinner experience on Saturday, May 25, 2019. The cost of any supplemental menu items or items ordered from the wine list not mentioned herein are the responsibility of the dining guests. Other than those specifically listed above, no additional items or services are included in this package. Ground transportation, flights, food, and other ancillary costs not expressly described in the package description are the responsibility of the winner. Subject to all rules, policies, terms and conditions found in the SkyMiles Experiences User Agreement. All bids for SkyMiles Experiences packages are final and no mileage refunds will be made.